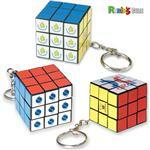 The Tangle Puzzle in a large size custom imprinted with your promotional logo. A unique and fun promotional item. Transforms into endless shapes. 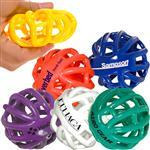 The large version of our popular Tangle® puzzle. FREE 1-DAY RUSH AVAILABLE. Available Colors: Multicolor or Translucent Blue. Standard 5 to 7 Days with a paper proof. Inquire for same day production! 7/8"w x 1/4"h per ring any or all four rings can be included as one imprint; art can be different on each ring. Please specify which art goes on each ring. The Tangle Puzzle with imprint. 200 pieces per carton, 26.00 lbs per carton, carton size 14.00" x 18.00" x 14.00"